If you have Alzheimer’s or you are with someone who has the disease, you must have noticed big changes. It has been found that patients of Alzheimer’s react differently at different times of the day. Big time changes are noticed in the late afternoon or early evening. Doctors call it sundown syndrome or sundowning. The major trigger for them is supposed to be fading light. The symptoms get worse with the advancement of the night and then after the night is over, the symptoms disappear. It is one of the rare conditions found in elderly. Though you may not be able to stop it completely, you can avoid the symptoms and control it. You can manage this challenging time so that you are less tired during the day. No one is sure, what causes sundowning. Even doctors fail to diagnose this rare condition. Some scientists think that changes in the people who have dementia might affect their inner “body timings”. The area in the brain that signals the body when it is awake and asleep breaks down in people who are suffering from Alzheimer’s. An absence of light in the house. More shadows cause confusion as well as fear. Trouble in separating dreams from reality. Being too engrossed in dreams that they might seem real. Also Read: Alzheimer’s Disease : Are you aware of it? To reduce sundowning, it is advised to look for patterns. See what are the triggers and try to avoid them. Make a schedule and stick to it: Alzheimer’s make it hard for people to remember things. Various feelings and reactions may arise like confusion, feeling of stress, anger etc. These feeling play a vital role in sundowning. It is important to make one schedule and stick to it. Do not change it frequently making it harder for people to remember it. Limit the things that affect sleep: If your loved one is sundowning, take extra care of him/her. Don’t let them smoke or drink alcohol as it may hamper their sleep resulting in irritation and mood issues. Don’t let them eat sweets or caffeine in morning. Keep things calm in the evening: Try to keep blinds and curtains closed. Turn on the lights in the room. Make it bright as darkness as well as shadows make people more depressed and upset. Fix the temperature of the room by making it comfortable. Put on some nice, soothing, relaxing music, play cards or go for a walk to lighten the mood. Reactions: Sometimes people give very harsh reactions to the patients of Alzheimer’s that make them upset and depressed. It is advisable to stay calm, composed. Ask them if they need something. Do not argue with them. If they get panic, hold their hand and tell them that they do not need to worry about anything and it is all OK. When you need doctors help: If after taking all the necessary measures, a person’s condition still gets worse, make sure to consult the doctor. He can make sure that whether the medicine that the patient is taking him, helping him to relax or not and it is not causing any confusion on the day. Other things that you can do is eat healthily, take adequate amount of sleep, spend time with friends, don’t take any kind of mental pressure. Do what you love doing in your spare times. It is important to stay healthy and safe. 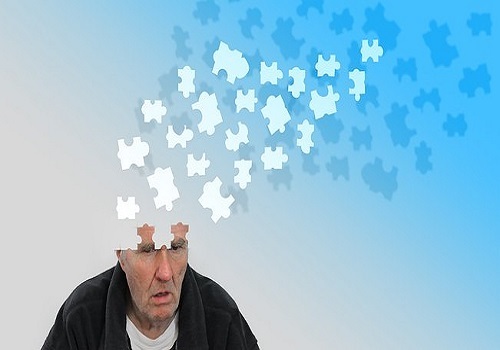 Alzheimer’s Disease : Are you aware of it?